A pronghorn buck watches over his harem. Photo courtesy Stacey Dunn. Byers, J. & Dunn, S. 2012. Bateman in nature: Predation on offspring reduces the potential for sexual selection. Science 338: 802–804. doi: 10.1126/science.1224660. Q: What’s a “Bateman slope,” and why would we want to measure it? Sexual selection occurs due to competition over mates, with the final outcome being offspring production. The Bateman slope is the regression slope of male mate number on male offspring number. It is a measure of the potential for sexual selection. Knowledge of the intensity of sexual selection is critical to the understanding of mating system evolution and sexual dimorphism. Q: There are, apparently, some serious questions about the methods Bateman used in his original study on sexual selection in fruit flies. How does yours improve on that work? Bateman’s calculations relied on a pedigree developed from phenotypic data on fruit flies, which led to biased results. 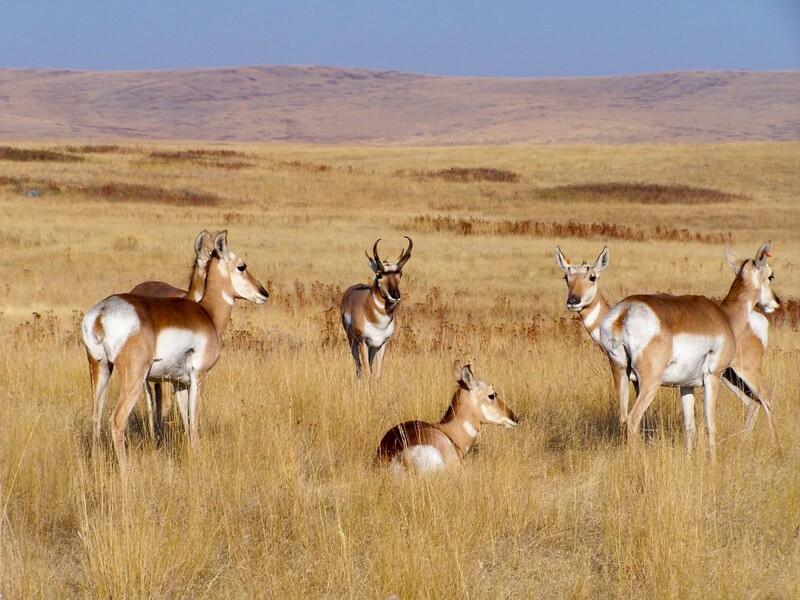 We used a multi-generational pedigree developed from genetic parentage data to estimate sexual selection in pronghorn. This allowed us to make unbiased calculations of mate number and offspring number. Q: Tell me about your data set, and what it took to put it together. Q: If you had an unlimited budget to do the paternity analysis all over again, how would you do it? We are in the process of developing a panel of single nucleotide polymorphism (SNP) markers for pronghorn. Because we will genotype at hundreds of SNP markers, rather than just 19 microsatellite markers, parentage assignment will be unambiguous. We plan to genotype all animals in the pedigree using this new panel of SNP loci, so, in retrospect, we would have been better off starting with SNP’s! The National Bison Range. Photo courtesy Stacey Dunn. 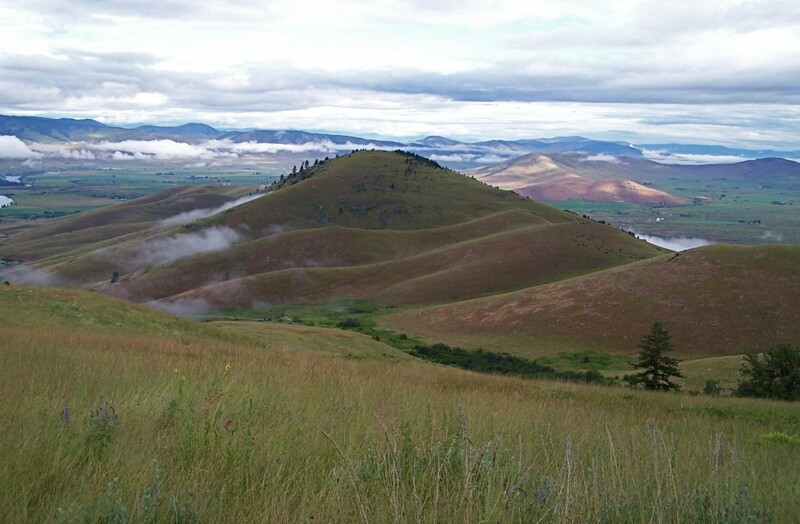 Q: What did you discover about the Bateman slope in pronghorns? Our pronghorn data confirmed the three Bateman principles: 1. Variance in male offspring number was greater than variance in female offspring number, 2. Variance in male mate number was greater than variance in female mate number, and 3. Male offspring number correlated with male mate number, whereas the same was not true for females. We found positive Bateman slopes in each year of our 10-year study, however slopes varied fivefold during the study. This suggests that single-point estimators of the Bateman slope may fail to reveal true patterns of sexual selection. Q: As you note in the paper, pronghorn are marked by “obvious sexual dimorphism in weapon size, pugnacity, and behavioral focus on copulation” — in that sense, they’re a case where we’d really expect Bateman’s ideas to bear out even before looking at your data. What do your results tell us about the evolution of mating behavior across the animal kingdom? We found no evidence that random effects were driving the differential male success. Rather, environmental effects, specifically fawn predation, were driving the differential male success that we observed. This is a novel finding, and one that should change the way we think about mating system evolution and the interaction between natural and sexual selection. Q: Which do you think came first — sexual selection, or sexual dimorphism? Q: Especially in light of your results, does it make sense to think about sexual selection as a separate kind of process from natural selection? Natural and sexual selection are clearly intertwined, however the underlying processes are inherently different and can often counteract each other, leading to differing outcomes depending on which force is stronger. While I think sexual and natural selection should be considered two different processes, I don’t think you can study and understand one without acknowledging the other. 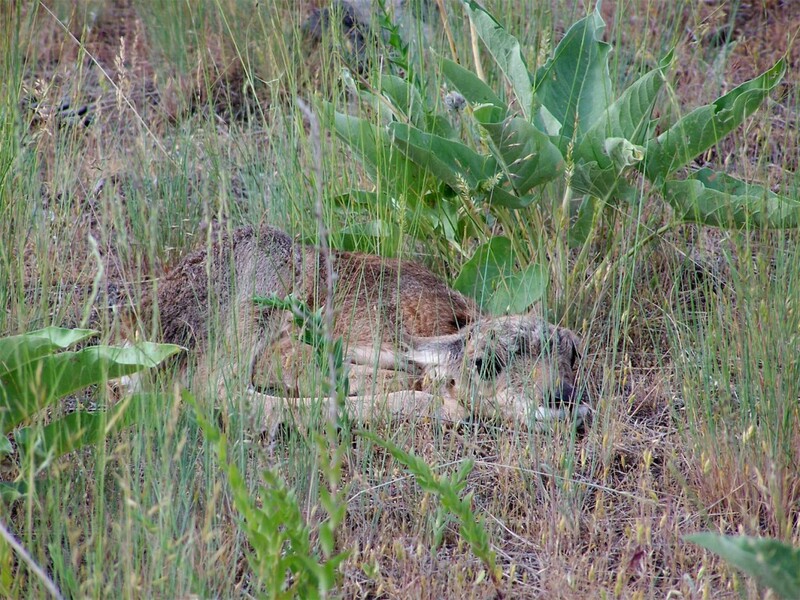 A pronghorn fawn in hiding. Photo courtesy Stacey Dunn. Q: And finally: Got any baby-pronghorn-catching tips for our readers? Catching a pronghorn fawn requires stealth, practice, attention to detail and a little luck. And a good singing voice never hurt. One assistant watches from a distance with a spotting scope, out of sight of the mother, as she nurses and moves her fawn(s) to a new hiding place. When a fawn lays down in the grass, it is completely out of sight of the assistant. If the assistant is not paying attention, even for a few seconds, the fawn can disappear without the assistant knowing the location. The assistant has to pay close attention at all times, so as not to miss the fawn reclining. Once they are on the ground, the assistant memorizes the location of the fawn(s) based on landmarks that may include rocks, dirt patches, flowers or tufts of grass. Often, the terrain is unchanging around the fawn(s), making memorization of the fawns’ location particularly challenging. The assistant then directs two or more of us to the fawn(s) by handheld radio. One person distracts the fawn by talking or singing and shuffling the grass while John [Byers] or I stealthily approach the fawn from behind. A light rain or breeze moving downwind helps to muffle the sound of our approach. When we are within a couple feet of the fawn, we pounce. If we are unsuccessful, it is at least another 4 hours before we have a 2nd chance at a capture. Because fawns become more aware of their surroundings and more capable of outrunning us with each passing day, we try to catch them when they are 1 day old. This entry was posted in interview, pedigree and tagged Bateman slope, microsatellite, paternity analysis, pronghorn, sexual selection, Stacey Dunn. Bookmark the permalink.